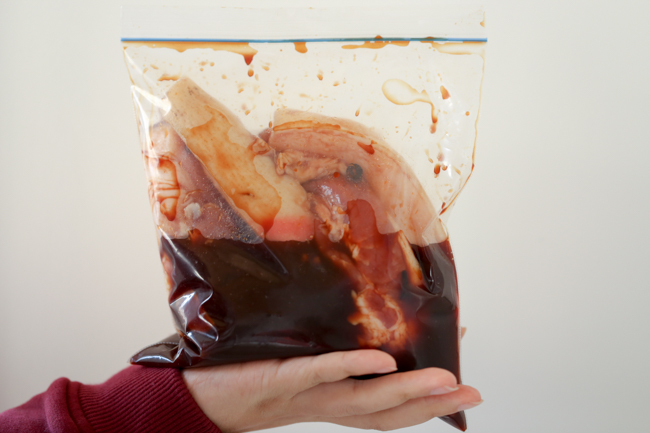 Making all kinds of preserved meat is a busy task for almost all housewives in China. 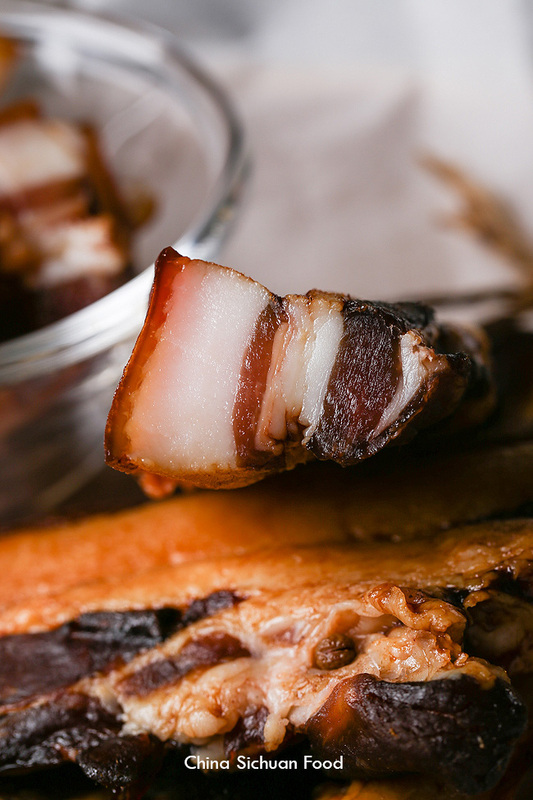 We have a long family history to make our own cured pork and smoked pork. 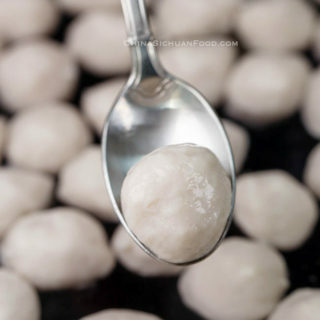 Each year, around half month before the Winter Solstice, Chinese people begin to prepare foods for the coming year. 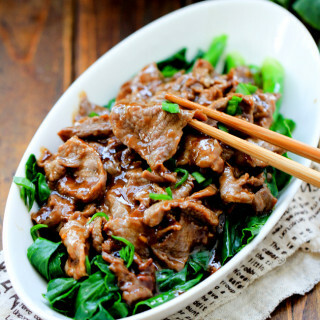 Among those different Chinese Spring Festival foods, preserved meat is one of the most popular choice. The preserved meat can be very different based on the area. 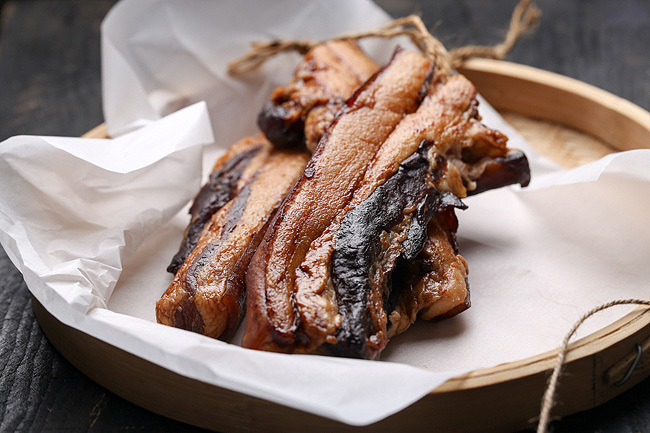 In Cantonese cuisine, pork belly wind drying after marinating in mixed soy sauce mixture(this vision is Cantonese). In central China like Hubei and Hunan, people just use salt as a marinating before drying. 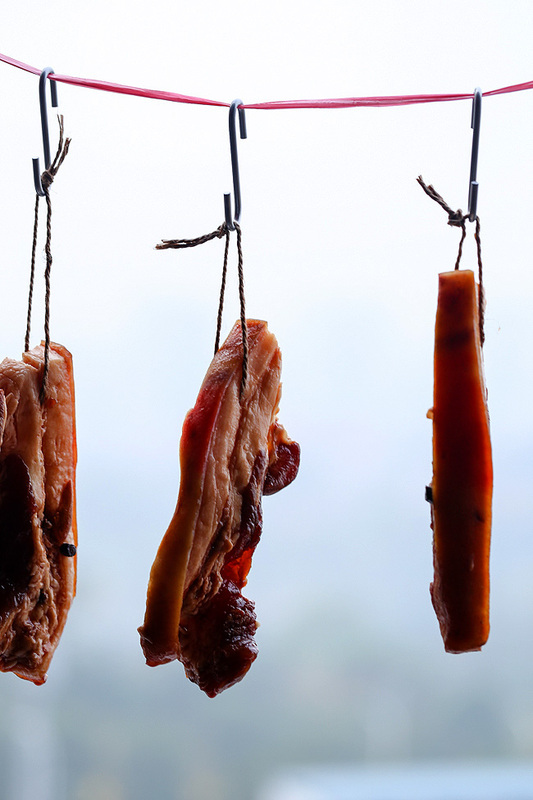 While in the western China, after basically salt marinating and wind drying, we smoke the pork with the branches of alamo. Traditional smoked has been losing its popularity in recently because of the health consideration. 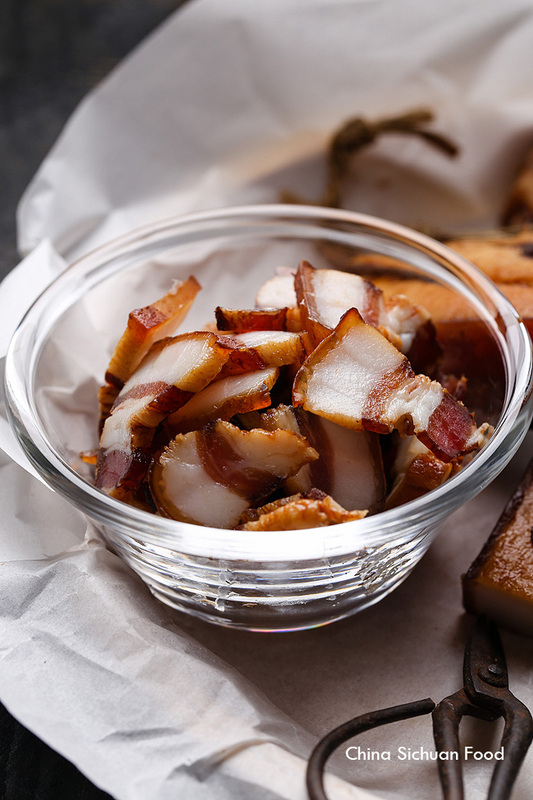 It is quite easy to make a air-cured pork belly in cold water days. So even you hate the winter wind because it hurts your smooth face, you should be quite grateful when eating this yummy cured pork. 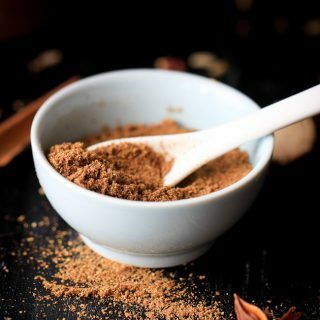 In a small pot, add rice cooking wine, dark soy sauce, light soy sauce, ginger, bay leaves, star anises, Sichuan pepper, sugar and cinnamon barks. Bring all the content to a boiling and let it simmer for 2-3 minutes. Move from the heat and cool down completely. During this time, slice the pork belly into thin long strips and rinse to remove any dirt. Then dry it with kitchen paper. The meats should be as dry as possible as the water will spoil the pork belly. Place the strips in an air-tight bag. 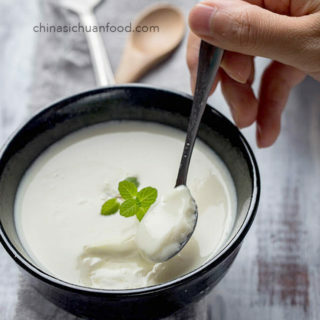 When the soy sauce mixture is completely cooled down, stir in Chinese Baijiu. Pour the sauce in the bag to marinate the pork belly 3 days. Prepare thick cotton lines and a dull kitchen scissor, wrap the line over the scissor and pork through the pork belly around 1/3 from the top. Hang up for air-drying for 5-7 days. After 5-7 days air-frying, the rind becomes quite stiff while the inner side is still soft and white. 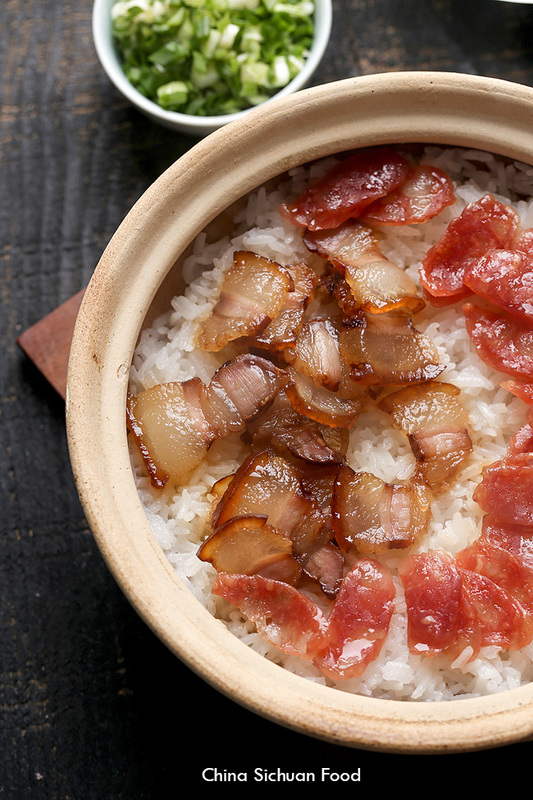 The most popular way to cook Chinese cured pork belly is to steam with rice (if you use a clay pot, then you get yourself clay pot rice). After steaming, they turn transparent. 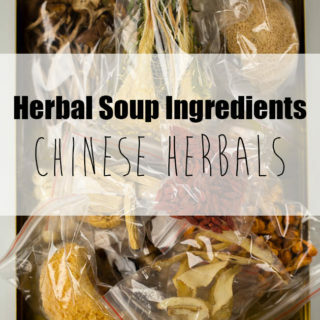 In a small pot, add rice cooking wine, soy sauce, ginger, bay leaves, star anises, Sichuan pepper, sugar and cinnamon barks. Bring all the content to a boiling and let it simmer for 2-3 minutes. Move from the heat and cool down completely. 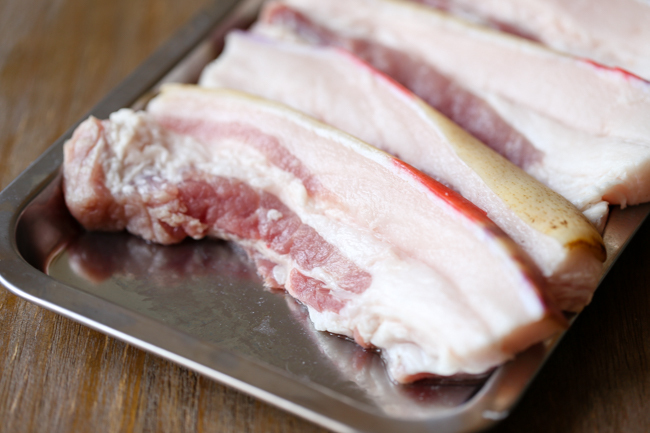 During this time, slice the pork belly into thin long strips and rinse to remove any dirt. Then dry it with kitchen paper. The meats should be as dry as possible. The water will spoil the pork belly. Place the strips in a air-tight bag. 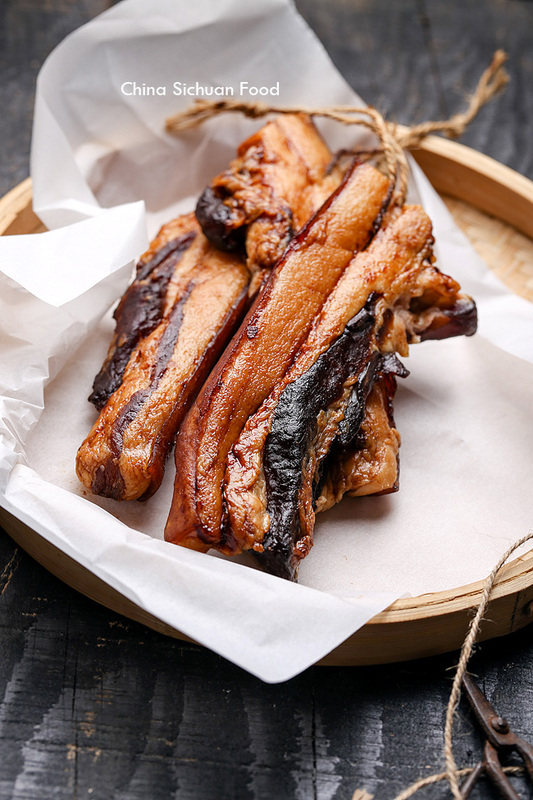 If you use a container, make sure the pork belly is completely soaked by marinating sauce otherwise you need to turn them over every day. Then prepare thick cotton lines and dull kitchen scissor, wrap the line over the scissor and pork through the pork belly around 1/3 from the top. Hang up for air-drying for 5-7 days. After 5-7 days air-frying, the rind becomes quite stiff while the inner side is still soft and white. How to keep: you can freeze them in air-tight bag up to 1 month. 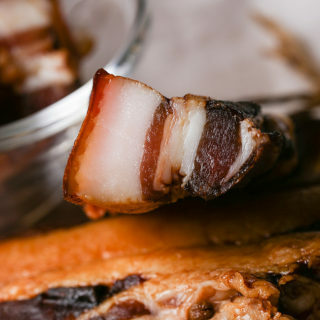 How to cook this cured pork belly? 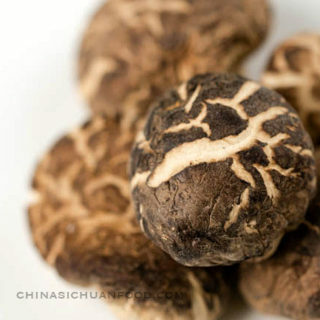 You can use it directly as normal meat in stir fry dishes or cook yourself a warm pot of rice or wrap a lo mai gai in a lotus leaf. The two recipes can be posted on the blog in following two weeks. Stay turned and well prepared! Merci pour cette découverte,mais je ne connais pas le Baijiu. Je vais tout de suite chercher. J’ai trouvé::c’est un alcool blanc, donc,je vais utiliser du makuélo ,et cela fera très bien l’affaire. What is Baijiu? I live in Ireland and have tried a few of your recipes. I look forward to trying your scallion pancake! Baijiu is Chinese hard liquid. You can replace it with other famous hard liquid like Vodka. This recipe looks amazing! What is the temperature when you are drying the meat though? I’ve never done this before and am a little wary of spoiling the meat. 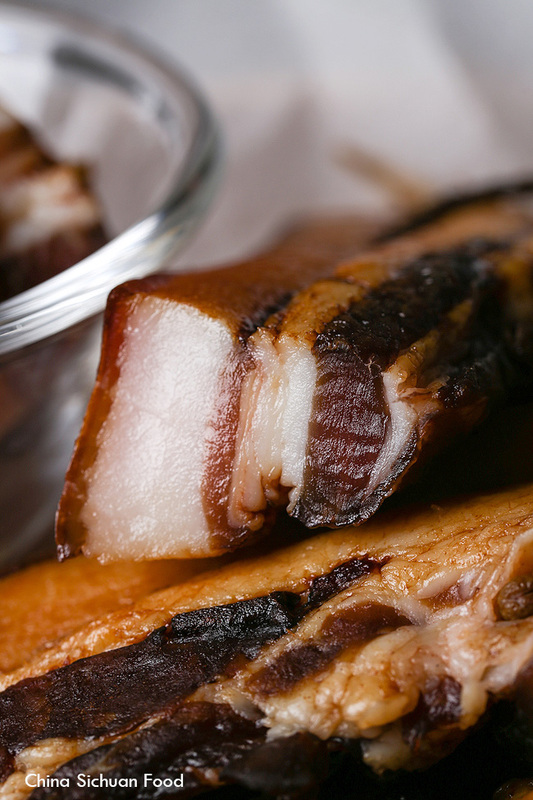 The best temperature for Cured pork belly is under 10 degree C. So basically we only make all kinds of sausages and preserved meat after the winter solstice when the temperature is low enough. 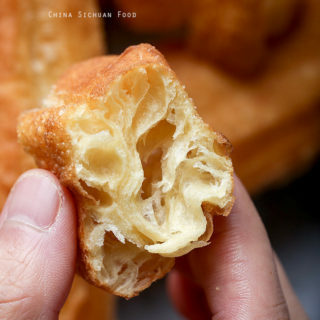 I live in the humid conditions of singapore….and i am really keen to try this recipe. Because it is hot and humid here, will this still work if i dry it in the fridge? No, this recipe need natural air drying. 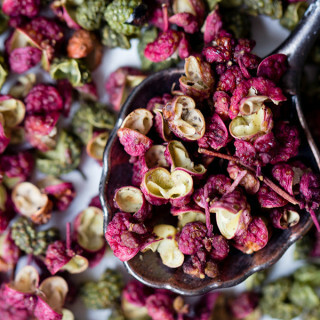 The drying process influence the taste very much. So I believe that you should buy this directly other than making them at home. I never tried this method. Will try it soon. Elaine, I’ve used your recipe 3 times over the winter, I really like it, I will be trying it again in the next few days, but would like to try something a little different. 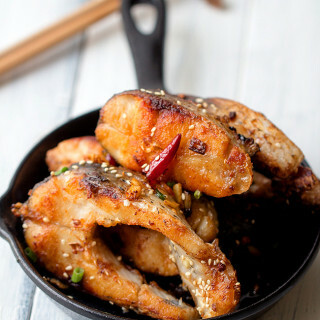 Can you suggest some different marinading ingredients to try to get a different taste? 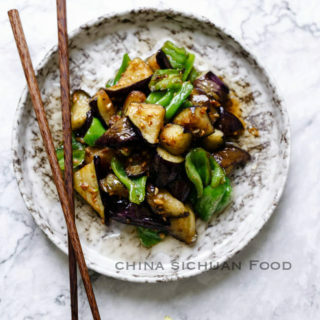 Is there a way to make a spicy (chillies) or would that not work for cured pork? 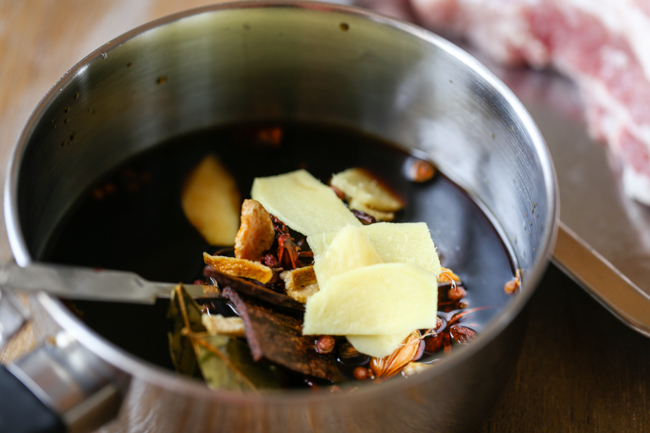 Should I marinate in the fridge or room temperature? Can I hang it at the temperature under 15 degrees C? Winter is not so cold recently. I am from Vietnam. No, 15 degree C is too high. You need to wait until it drops under 10 degree C. The best temperature should be 5-8 degree C.
I made this and it smells delicious while it’s air drying. Can’t wait until it’s ready! What is the best way to keep this pork belly after it’s done, in the fridge? Or can i freeze it? How long can it keep outside of the freezer? You need to package them in an clean zip bag and then freeze up for half year. Do I need ad GMS to ingrediens. If yes how much? No. There is no need to add GMS this in cured pork.